This week I am on vacation, so hope to get a lot accomplished. 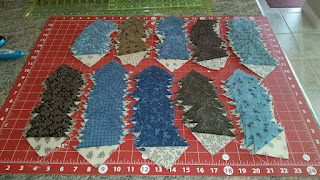 First up will be the half square triangles for Union Blues. The picture is from the 1st batch that I made last month, making the same amount this month. 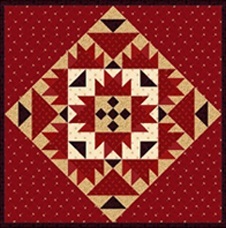 Next up will be the second step for Prairie Gathering. Last will be the second set of blocks for Freedom Rings. These are my blocks from last month. 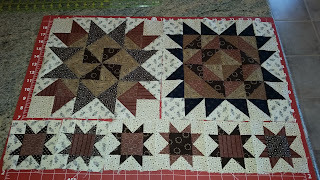 This month is similar and will post pictures when finished later this week. If I finish all that, I will be heading back to working on Allietarre. So many half square triangles in all your projects! Good luck getting to Allietarre. Looking good!! Enjoy your vacation time, and have fun working on your projects. You can do it!